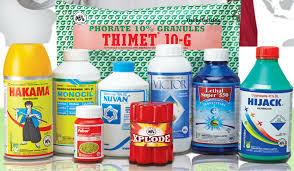 Mumbai : Insecticides India’s subsidiary OAT & IIL India Laboratories is all set to inaugurate factory at Chopanki (Rajasthan) for commercial production of Agrochemical on March 25, 2019. This facility, aligned with the Make in India initiative of Government of India, has capacity to manufacture 1100 KL Per Annum of Sodium Paranitrophenolate 3.0 SL. The company and OAT & IIL India Laboratories aims to serve India’s present demand for agrochemical from this facility and is expected to benefit from strong demand growth in these products. Insecticides India is a leading agro-chemical and pesticides manufacturer. It has formulation facilities in Chopanki (Rajasthan), Samba and Udhampur (Jammu & Kashmir) and Dahej (Gujarat).